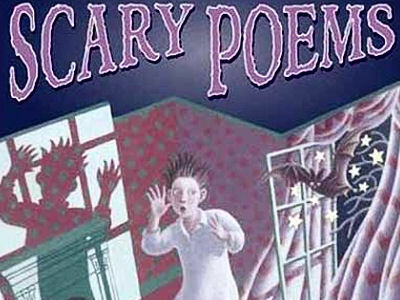 Fair warning: Get your scary poem on! Got a scary poem in you? Let it come out. The Rural Oklahoma Museum of Poetry is hosting a Scary Poem Contest that includes a reading of your poem at the Oct. 25 Dark & Scary event at the museum. Cash prizes for the top 3 winners! Anyone can send in a poem, but winners must be present: We need to hear you tell us your poem around the campfire in the dark . . . where the sasquatch and coyote might be lurking. EMAIL: Send the poem in the body of your email (no attachments) to ROMPoetry@gmail.com. For the subject line, write: Scary Poem Contest. Everyone who enters the contest and comes to Dark & Scary night will receive a small (but worthy!) prize. It reveals its mood and theme through specific detail and imagery: You can see and hear and smell and taste and feel the things described in it. If it rhymes, the rhyme is not forced but seems natural and in conjunction with the mood and tone of the poem. It is original and surprising in its subject matter: Avoid clichés and tired ideas! The title is compelling without giving away too much. Just for fun, comment below with a scary title or first line you might use . . . or even just a scary poem idea. You have been warned: You now have plenty of time to compose that poem and send it in! Then mark your calendars for Oct. 25. The tiniest click at the door, like the sound of the second hand on the grandfather clock, could be heard over the steady whoosh of the ceiling fan. Then a creaking on the wood floor and a panting in the dark moved toward him. Roxann–Write it! I want to hear the rest of it.